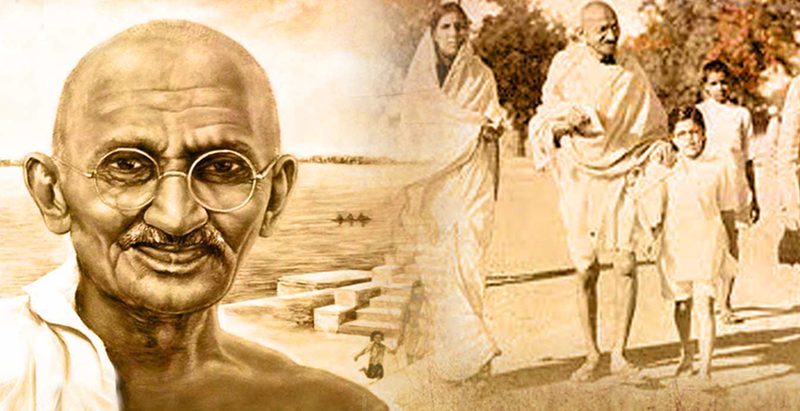 Mohandas Karamchand Gandhi (/ˈɡɑːndi, ˈɡæn–/); 2 October 1869 – 30 January 1948) was the preeminent leader of the Indian independence movement in British-ruled India. Employingnonviolent civil disobedience, Gandhi led India to independence and inspired movements for civil rights and freedom across the world. The honorific Mahatma (Sanskrit: “high-souled”, “venerable”) applied to him first in 1914 in South Africa, is now used worldwide. He is also called Bapu (Gujarati: endearment for “father”,”papa”) in India.